A majority of U.S. states experienced job growth in June, in line with positive employment trends at the national level. Out of 50 states, 33 recorded significant increases in nonfarm jobs in the last year, according to recent data from the Bureau of Labor Statistics. The unemployment rate continued to fall across the country as well. 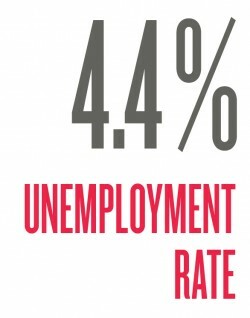 In June, the unemployment rate was 4.4 percent compared to 4.9 percent for the same period last year. “In most states, we are seeing a decrease in unemployment rates and increase in the number of jobs,” said Janelle Jones, an economic analyst at the Economic Policy Institute (EPI). That means people are staying in the labor force and getting more jobs, which is the ideal scenario, she said. Texas led the nation in job growth, adding 319,300 jobs to the state’s economy in the last year and 1.7 million since the 2008 recession. 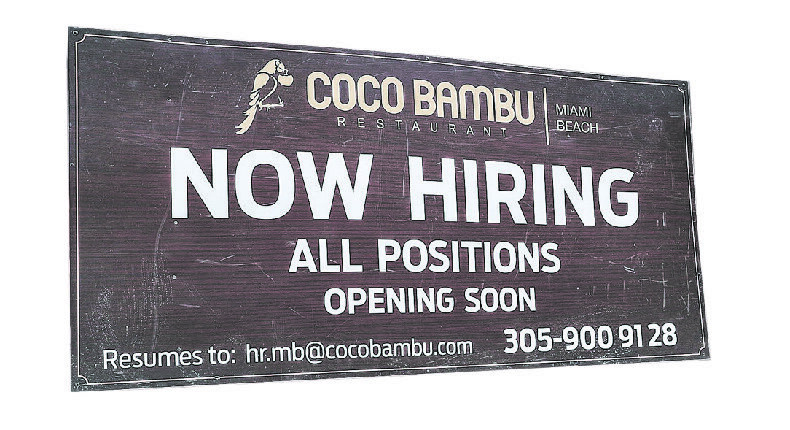 California and Florida trailed Texas in job gains. The three states are following a national trend, but also have industries that can fuel their job recovery, says Jones. In California and Florida, the primary driver of job growth over the last year was the construction sector, while in Texas, the industries with the strongest job growth were education, health, trade, transportation, and utilities, according to EPI data. Two states, Wyoming and Kansas, saw job losses (though they were considered statistically insignificant). In the Midwest, states like Ohio and Michigan have counted on traditional manufacturing jobs, which are not recovering as quickly as construction or health care jobs, said Jones. “Smaller states where the state economy is controlled by the national trend will see a slow recovery,” she said. North Dakota and Colorado had a record low unemployment rate of only 2.3 percent each. North Dakota has enjoyed the lowest unemployment rate during the past decade, thanks to the shale oil boom that boosted the state’s economy. In Colorado, strong employment drivers were professional, business, education, and health services, as well as leisure and hospitality. Alaska continues to suffer from the crash in global oil and other commodity prices, which resulted in the highest jobless rate, 6.8 percent, followed by New Mexico (6.4 percent) and the District of Columbia (6.2 percent). Overall, the U.S. economy added 222,000 nonfarm jobs in June, beating the consensus estimate of 179,000. Wage growth, however, stayed mostly flat in June, reflecting a 2.5 percent annual increase. “The recent slowdown in wage growth raises the question of whether we are really at full employment,” stated Goldman Sachs in a research report. Goldman Sachs expects wage growth to accelerate in the coming months, with further tightening in the labor market. 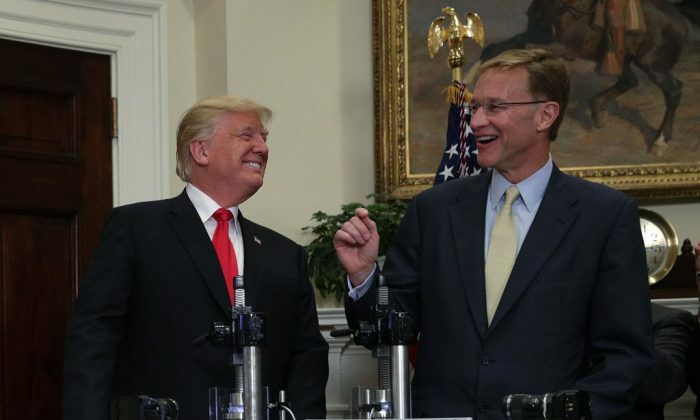 President Donald Trump announced on July 20 that three U.S. companies—Corning Inc., Merck & Co., and Pfizer Inc.—have teamed up to bring pharmaceutical glass packaging manufacturing to the United States. The partnership will create at least $4 billion investment and some 4,000 new jobs. “This initiative will bring a key industry to our shores that for too long has been dominated by foreign countries,” Trump said. What’s Behind the Drop in the Dollar?